Coral Gables is a beautiful and picturesque city in Miami-Dade County. On occasion though, good folks get injured. It is at those points that a responsible and reasonable person should contact a Coral Gables personal injury attorney to investigate the facts of the accident and injury. There is a possibility that some person, corporation, company or even the city government might be responsible for your injury and damages. You owe it to your family and yourself to find out if someone should be held accountable for your medical expenses, lost wages and rehabilitation expenses. It’s bad enough that you have to endure the pain of a personal injury. But the expenses of an injury can cripple and destroy a family. You should never be a silent victim. Stand up for yourself and call a Coral Gables injury and accident lawyer and find out about your rights. The Miami personal injury lawyers at the Wolfson Law Firm have proudly served the residents of Coral Gables since 1963. Our Coral Gables injury attorneys know what to do. We can meet you wherever you like or you can come to our Miami personal injury law firm located minutes from Coral Gables at 3399 SW 3d Avenue, Miami, Florida 33145. We are located in The Roads neighborhood. You can also call our Coral Gables accident lawyers at (305) 285-1115 and we can get to work on your case. 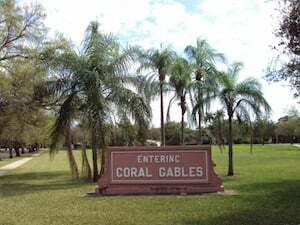 Infamous for its strict zoning regulations Coral Gables was one of the first planned communities. The city prefigured the development of the gated community and the homeowners association. Originally developed by George Merrick during the Florida Land boom of the 1920s, Coral Gables was specifically designed. The main artery bisected the business district, and its downtown commercial district was designed to be only four blocks wide and more than two miles long. The city of Coral Gables has an approximate population of 46,000 people, 91% of that being White or Caucasian, 53% Hispanic, and 3% African American. It has a weekly newspaper, and hosts several local and regional radio and television stations in its area. One rather interesting fact is that there are many countries that have consulates in Coral Gables. Some of those countries include Italy, Colombia and Barbados. The Miami personal injury attorneys at the Wolfson Law Firm are ready to help you and your loved ones. 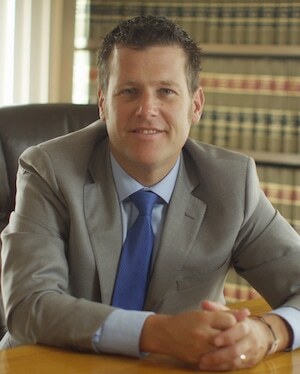 Our Managing Attorney Jonah Wolfson is a bilingual personal injury lawyer in Miami who is available to represent the people of Coral Gables. Our injury and accident lawyers in Miami serve not only Coral Gables but also the communities of South Miami, Coconut Grove, Kendall, The Hammocks, Edgewater, The Roads, Shenandoah, Little Havana, Florida City, Homestead, Hialeah and Princeton. We handle all injury cases on a contingency fee basis meaning that you do not owe us a fee unless we make a recovery for you. Call today for your free, confidential and no obligation consultation. Get the answers you need and the justice you deserve. Just call (305) 285-1115 right now to speak with a Miami personal injury professional.